Podcasting provides an excellent way to engage our audience in dynamic conversations on topical issues and entertainment. Currently the RA Comics Network features our two flagship shows, Mouthy Broadcast and Playing Doctor, and our new show, The Power Geeks. We look forward to expanding the network as time goes on to include many more shows of diverse subjects including Sci-Fi, Gaming, and more Comedy! Mouthy Broadcast is a podcast starring a revolving cast of women, mostly from Hampton Roads, Virginia. Our goal is to create a no-holds-barred irreverent, yet honest and insightful chat show that’s strong enough for a woman, but made for men, too. Mouthy Broadcast Weekly comedy podcast by some real classy ladies. Dork Trek isn’t part of the RA Comics Network but two of our stars are part of the regular crew. The mission of the show is to watch in order and review every episode of Star Trek in a podcast. So far the crew has reviewed every episode of Star Trek: The Next Generation and they’re working their way through Star Trek: Deep Space Nine. Two American Adults, One British Kids’ Show, we are Playing Doctor. Every episode we present a mostly spoiler-free, uncensored discussion of the hit BBC series Doctor Who. Hosted by Jennie Zell and Ben McCormick with a few of their Whovian friends. 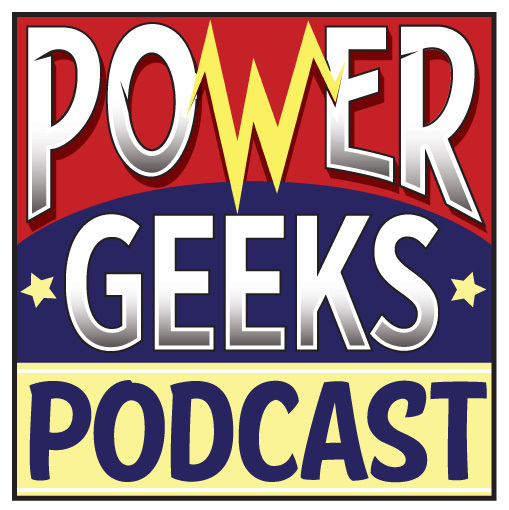 The Power Geeks is the news magazine podcast dedicated to Fun, Geek Culture, Technology, Comics, and Games! Join Ben McCormick and Bob Frantz as they take a closer look at the week’s geek news.